The reaction to my 4th March report indicates that, more people, more fully, understand that it is not only sales under the hammer but the continuing activity immediately post auction that justifies our continued emphasis on Auction Marketing. As covered in my 4th March report we are achieving positive encouraging response and more buyer activity than ill-informed information may have suggested. There is good buyer activity, yes, they are largely conservative/cautious, but nevertheless we consider that we are achieving very good price results for our vendor clients within a much defined marketing period, acknowledging that our challenge always is to meet vendor price expectations with buyer price expectations. The portfolio comprised properties in, Pakuranga, Half Moon Bay, Bucklands Beach, Highland Park, Cockle Bay, and Whitford. We had identified bidding registrations for three of the properties and all three attracted bidding interest. One sold under the hammer, while the other two reserved their decision. The Headsail room of the Bucklands Beach Yacht Club, the home of Ray White Auctions, again enjoyed a pleasing attendance, including people who had registered buying interest, those who had expressed conditional buying interest and those who came along to see what is selling and for what price to give an idea of what is happening very currently in the real estate market. 4 further properties have attracted unconditional and conditional offers post auction. We are still negotiating with buyer interest to meet vendor price expectations. 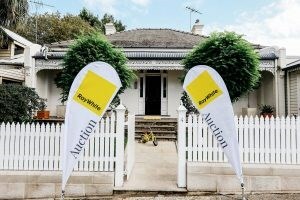 Prior to auction vendors are given qualified information gained from prospective buyers to help them gauge a likely selling price, the reserve and selling outcome is then for vendors to determine. There are always various reasons why potential buyers cannot meet the terms of an Auction For Sale and Purchase Agreement which is a totally unconditional agreement, however, as stated above, we try to work with these potential buyers to attract the best conditional sale for our client vendors. The goal of our Auction Marketing Programmes is to provide our Vendor clients with an unconditional sale, or, after three weeks of marketing there is a base to work with conditional buying interest if unconditional buying interest is not achieved, at or, immediately post auction. It is also important to note that some vendors are not always able to accept buyer expectations of price for various reasons but auction marketing is a very positive way of testing the market in a defined space of time to determine if the buyers’ price will enable them to make the lifestyle/ property change they envisage.